Yahoo’s search engine division has announced that it will be dishing out hardware galore, resources and “critical material aid” to support the non-profit Wikipedia online encyclopedia. Yahoo Search’s contribution is the most significant received by Wikimedia from a corporate sponsor to date, costed at “several hundred thousand dollars,” by David Mandelbrot, Yahoo’s vice president of search content. Wikipedia is a global charitable effort, to create and give away a freely licensed encyclopedia in every language of the world. 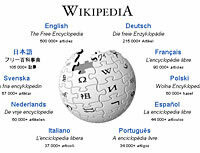 In just four years, the non profit Wikimedia Foundation has created the largest English language encyclopedia in history, supported by substantial encyclopedias in French, German, and Japanese with “strong efforts underway” in over 100 other languages. Much like Google’s new Q&A service, Yahoo Search will also feature abstracts of Wikipedia content at the top of relevant search results in the form of “shortcuts,” containing factual information or links to factual information. Yahoo’s shortcuts are intended to give users the answer they’re looking for on the search results page, saving them the bother of clicking onto other Web sites for the desired information. Yahoo’s support comes completely free of charge and they will in no way benefit from the positive world-wide publicity or continuing access to Wikipedia content. No sir. In a separate statement from Wikimedia, the charity revealed that Yahoo will also be dedicating “a significant number of servers” in a Yahoo facility in Asia. Yahoo’s profits tripled from $65.3 million (£34.9m/€50.9m) to $253.3 million (£135.4m/€198m) last year.